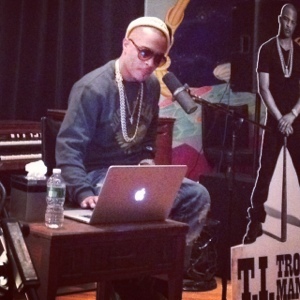 I attended TI's listening party last night..
Last night after the Mirror Mirror Awards I made my way over to a listening party at the Collective Studios in NY for T.I.’s new album, Trouble Man. The rapper called this album his 'best work yet' and proceeded to play the small crowd a few tracks. He was surprisingly funny and extremely engaging. My favorite track he played was the one with R Kelly and of course the single with Andre 3000. After playing a few selections TIP asked the audience if they had any critiques of the album and of course everyone was silent even after he promised he wouldn't be mad! Ha! 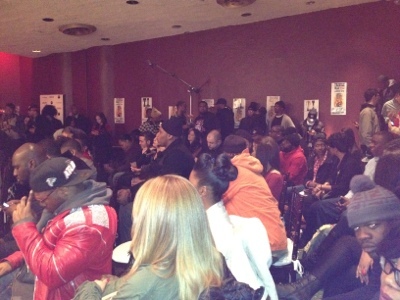 Spotted at the listening session were bloggers Nicole Bitchie, Miss Info and of courses journalists like Bene from VH1, Angela Tee from Power 105 & Jamie from Sister to Sister. 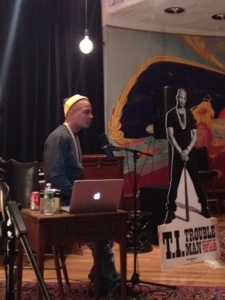 I really enjoyed the album and shot out to my homie Amir for the invite..
Trouble Man drops on 12.18.12. Are you planning on buying it?